Diverticulitis is a relatively common ailment, especially in people who are over the age of 50. This condition is the result of small pouches that develop in the intestinal walls. Many people have these pouches and do not experience any type of symptoms from them. However, when these pouches become inflamed a person may experience several symptoms including abdominal pain, nausea, loss of appetite, vomiting, bloating, constipation, diarrhea, fever, bloody stool, and other digestional issues. The exact cause of diverticulitis is not known. 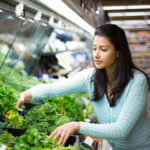 However, it is known that a person’s diet directly relates to the development of this condition. A person who eats a diet that is low in fiber over the years is more likely to develop diverticulitis than someone who eats a high fiber diet. Fiber helps to maintain the health of the digestive system. Ironically, if you have developed diverticulitis, chances are your doctor will often prescribe a diet that is low in fiber. The main reason for this is because eating a low fiber diet can put less strain on your intestines. Since diverticulitis can cause the intestinal walls to become weaker, putting less strain on them can help ease the symptoms of the condition. 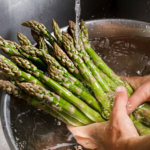 If you have been diagnosed with diverticulitis and told to eat a diet that is low in fiber, here are 14 foods that you should be eating regularly. If you have been put on a low fiber diet, eggs should become a regular item on your menu. 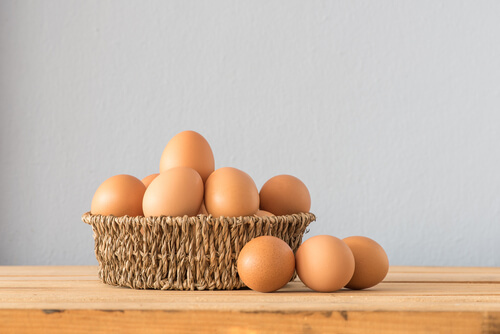 Eggs do not have any dietary fiber and they are high in protein and other important nutrients such as vitamin D and vitamin B12, which are necessary for maintaining optimal health. Eating eggs will not aggravate any of the symptoms that you may be experiencing from diverticulitis. In addition, eating eggs throughout the day can help you feel full for longer, which will help you maintain or even lose weight.